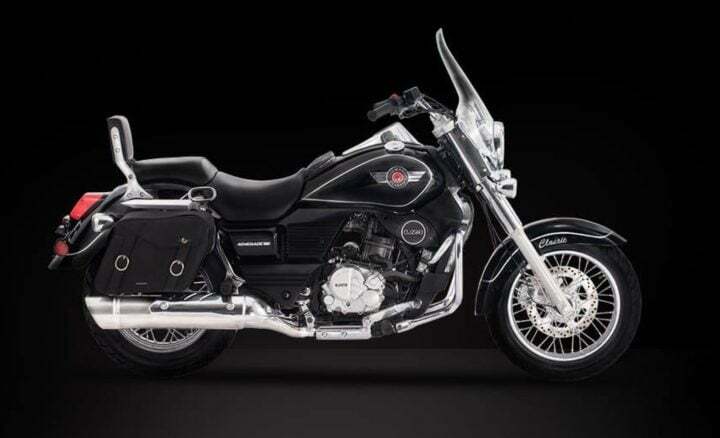 UM Renegade Commando Classic Carburettor version has been launched in India. It is placed below the FI variant, as it competes with Jawa 300 and Royal Enfield Classic 350. UM Lohia has launched the carburettor version of Commando Classic. Classic is the entry-level UM bike in India. It comes at a price tag of Rs 1.95 Lakhs (ex-showroom), which is Rs 6,000 cheaper than the FI variant. Other than this, there are no mechanical changes on the cruiser. It continues with the same engine setup, however, the power figure has decreased a bit. The torque figure remains the same. The American-styled cruiser is the best selling UM cruiser. The lineup of UM Lohia includes Commando Classic, Commando, Mojave and Sport S. All are cruisers but with different bodywork and design. Commando gets more feature than the Classic but uses the same body. Mojave is the top-end variant of Commando range, which gets the most features and also looks the meanest of them. Sport S is a modern day cruiser and gets a bodywork similar to HD Street 750. UM Renegade Commando Classic Carburettor version comes with a 279.5cc liquid-cooled engine. The engine produces 23.7 BHP and 23 Nm of peak torque. The FI variant produces around 2 BHP more, at 25.15 BHP max. power. The engine comes mated to a 6-speed gearbox. Commando Classic uses chunky telescopic forks at the front and twin hydraulic with spring at the back. It still continues with a disc brake at the front and a drum brake at the rear. ABS is still absent of this cruiser. UM Renegade Commando Classic gets the proper American Style. Its design highlights include a large comfortable seat, a backrest, huge fuel tank, wire spoke wheels, windscreen and huge chrome inserts. These highlights make the bike look as retro as it can get. UM Lohia made its first appearance in India in 2016. However, for the past 2 years, it has failed to make a mark in the entry-level premium motorcycle segment. It currently offers 4 models, all of which are tanking in the market. On an approx, UM sells 500 units per month. Sometimes, the figures go down as well. A price reduction will help the brand to strategize its game in this segment. UM Renegade Commando Classic competes with the likes of Jawa 300, Jawa 42, Royal Enfield Classic 350 and Mahindra Mojo UT 300. Amongst its competition, Commando Classic is the costliest one. So, here it needs a major price cut to sustain its play in the market.